The Tigers are playing a 4-game series against the Oakland A's and former teammate Brandon Inge. Detroit opened the scoring with a homer by Andy Dirks in the 1st inning. Inge popped-up his first at-bat. The next Oakland batter, Kila Ka'aihue, cranked a 2-run dinger. Bartolo Colon is on the mound for the Athletics. I've never been impressed with Colon's athletic ability. He's probably gonna get lit-up. He seems comfortable in his new surroundings. I think Chili Dawg might help Brandon Inge. 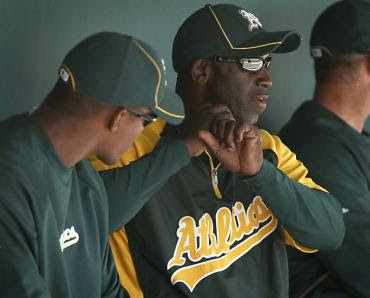 Chili Davis is Oakland's hitting coach. Chili Dawg was the first Jamaican-born player in The Show. Chili hit 350 home runs over his 18-year big league career. 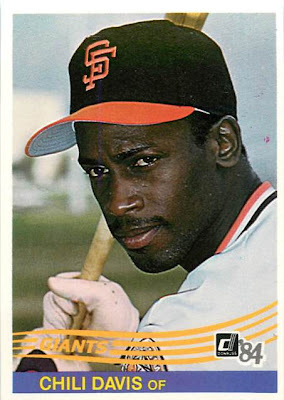 That's the fourth-highest career total for a switch-hitter, behind Mickey Mantle, Eddie Murray, and Chipper Jones. That's pretty good company. The dude was a smart hitter. I think he'll help Inge.